Today I’m delighted to welcome a fellow Robin Hood fan to my site. Please welcome N.B. 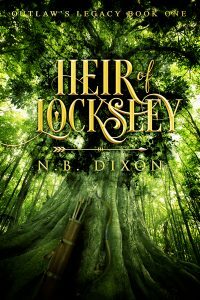 Dixon, who has come along for a cuppa and a chat about her latest Robin Hood story, The Heir of Locksley; which forms part of her Outlaw’s Legacy series. I’ve been fascinated by the character of Robin Hood for most of my life. When I decided to write a series of my own in 2013, there were two things which particularly interested me. One was that, no matter how much the story of Robin Hood has varied over the centuries, one thing that never changes is the Love Robin has for his men, and the love they have for him. I will admit, that captured my imagination far more than Robin’s relationship with Marion. The idea of having a hero who also had a secret, aside to him he was unwilling to let people know about, grabbed my imagination. The contrast of having a man living in medieval England and struggling with the often barbaric lifestyle of the time, compared with the modern struggle men are going through today of coming to terms with their own sexuality, was a strong lure for me. Given the fact that Robin and his men depend on each other completely for their own survival, and live together in a closed, secret community, a relationship between Robin and another man did not require a great leap of the imagination. I then had the problem of Marian. 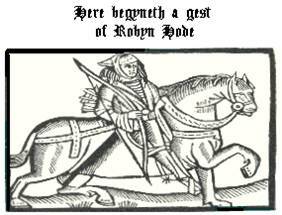 Marian does not in fact enter the Robin Hood story until much later. She is not in the earliest ballads and tales. It’s not in fact until more modern tellings of the story that she begins to acquire more of a role than simply Robin’s love interest. Her character has never particularly jumped out at me. However, I was reluctant to leave her out. I then began exploring the different possibilities for a relationship between Robin and Marian. It could never be straightforward. It was then I had the idea of making Robin bisexual rather than gay. Why not have him try to pursue a relationship or perhaps more than one with women in an effort to hide his own secret preference? After all, it’s what many men of his time would have had to do. In England, homosexuality was shunned and sometimes worse. Depending on the decree of the church, men could look forward to hanging, burning or castration. This was practised more abroad, but it would still not have been something a man would have been keen to parade. Many of them would have married and had children and suppressed that part of their nature. So my idea for the Outlaw’s Legacy Series was born. The second thing that intrigued me about the Robin Hood legend was how little we know about the outlaw before and after he took to the Forest. With this in mind, I decided to write a series about his life, following him through his childhood, through his crusading and outlaw days and beyond. It’s been an ambitious undertaking and a real labour of love. I only hope my readers will come to love Robin and my take on his story as much as I do. Robin found Will in the stable’s polishing tack. Will swiped at his cheek with a sleeve. A long gash ran down from just below his eye to the edge of his jaw. It was what Peter had said. “It’s not that bad—” Will began, but Robin held up a silencing finger. Without a word, Will subsided onto a stool. Robin went to fetch a clean rag and dipped it in a bucket of water pulled fresh from the well. Crouching at Will’s side, he reached up and touched the cold compress to Will’s face. Will swore, though that might have been due to Robin’s ministrations. Will’s face softened. He leaned a little into Robin’s hand. Their eyes met and held. They stayed like that for a few seconds, neither moving, neither looking away. Robin had never noticed before how long Will’s eyelashes were. They were a shade darker than his hair, as were his eyebrows. His lips curved in a slight smile, and Robin’s heart did that odd, painful lurch again. Robin tore his gaze away with an effort. The strength of his reaction surprised and unsettled him. Abruptly, he got to his feet, tossing the bloody rag aside. She began work on the Outlaws Legacy Series in 2013, and was accepted by Beaten Track Publishing in 2016. Outlaws Legacy is a historical series based around the Robin Hood legend. The author describes it as Exciting Historical Adventure with GLBT romance. Book 1, Heir of Locksley, will be released in paperback and ebook on December 1 2016. Many thanks for visiting today. Ooh! I really like the sound of this take on the legend. Will be pre-ordering :). There’s so much that’s open to interpretation, and I look forward to reading this. Thank you so much, Fay.